What is a Tentative Nonconfirmation (TNC)? A TNC means that information from an employee’s Form I-9 did not match government databases. Social Security number (SSN) does not match. Identification document could not be verified. Citizenship or immigration status changed. Name change was not reported. Name entered on I-9 is different than recorded in government data bases. Information was not entered correctly in E-Verify. Employees should be informed of the TNC promptly. Employer should print the TNC Notice and Referral Letter and review it with the employee. Employees have the right to contest or not contest a TNC. The employee has eight federal government workdays from the referral date to visit or call the appropriate agency to start to resolve the discrepancy. The employee continues to work during the TNC resolution process. During the TNC process, the employer should not take any adverse action against the employee. Photo Match helps detect document fraud. 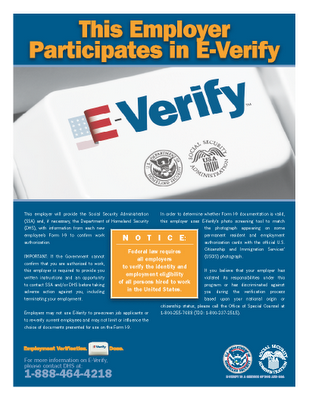 Do not request specific documents in order to activate E-Verify photo matching; but if an employee chooses to provide one of the above documents, you are required to make a photo copy of the document and retain it with the Form I-9. E-Verify cannot be used to verify existing employee unless you are a Federal Contractor with FAR E-Verify Clause. Form I-9 must be completed before a case can be created in E-Verify. E-Verify cases must be created no later than the third business day after the employees’ start date. Thursday, November 29, 2012, 6 - 7:30 p.m. The New York Public Library in conjunction with its sponsor, Citi Foundation, is proud to announce the 4th Annual New York StartUP! Business Plan Competition for New York-based startup entrepreneurs with cash prizes totaling over $30,000. The Orientation will start you off by giving you the basics of the competition. Attending one orientation session is the first requirement of the competition. n his book, The Back Of The Napkin, author Dan Roam asserts that that everyone is born with a talent for visual thinking, but that we — especially in the business world — are never encouraged to develop it. In this video, Roam shows us how anyone with a pen and a scrap of paper can exercise their imagination and work through any business problem by creating pictures. The November 28, 2012 episode of BlogTalkRadio with Brian Cohen covers the various loans and resources that are being made available, and discusses exactly what you need to do if you have incurred a loss due to Hurricane Sandy. Gloria Glowacki, Associate Regional Director, Stony Brook SBDC, who brings "an expansive background of over thirty years in new business development, small business advocacy, and sales and marketing initiatives to her responsibilities over the past 17 years at the SBDC." I learned a lot! For instance, there is a December 31, 2012 deadline for some loans, but a July 31, 2013 deadline for economic injury loans, because it takes a while ascertain economic injury. The FEMA loans don't require a specific credit score, and can be done online, though SBDC assistance is available, and suggested to ease the process. However, the Empire Loan of $25,000 requires a credit score of 650, and must go through the SBDC; there's no payment due in the first sixth months, and interest only in month seven. Contact any local NYS SBDC office, as the folks there are trained in all of these products. SBA - 800 659-2955; SBA disaster loan page. It has long been assumed that companies stand to increase profits by cutting wages and benefits for employees at the bottom of the corporate ladder. While companies use diverse incentives such as high wages, performance rewards, and stock options to recruit, retain and motivate highly skilled professionals, they assume that employees at the bottom of the corporate ladder can be replaced easily — and don’t need incentives. We conducted a six-year study of companies around the world that had tried investing in their employees at the bottom of the ladder. We sought to answer: 1) How successful were these companies in improving conditions at the bottom of the ladder and 2) What impact did the improvements have on the firms’ productivity, financial costs, and economic returns. The New York Times is promoting this colorful tool based on data from the Census Bureau that gives you a visual representation of neighborhoods and their ethnic makeup. I found it very interesting to look up neighborhoods I've lived in to see how they compare numerically to how I perceived them - it's pretty accurate. But our advisors often look for this type of information on behalf of business owners looking to choose a location for their business or areas to direct marketing. That it is so specific, down to census tract areas which are quite small. Mapping America: Every City, Every Block There are also canned maps other than the racial/ethnic distribution map - foreign-born or the individual broad category of race. The topic areas are race and ethnicity, income, housing and families and education. The unfolding scandal involving Gen. David Petraeus is not confined to the upper echelons of the U.S. military -- it also has been a recurrent drama in the corporate world, felling top dogs at dozens of companies from Hewlett Packard (HPQ) to Lockheed (LMT). Yet while the sexual proclivities of top executives pose a risk to corporate value, rather than to national security, such scandals have common themes -- and similar lessons, experts say. Aside from ordering chastity belts for corporate chief executives and generals, what can be done to reduce the chance that an indiscretion will damage an organization? In 1986, in an effort to control illegal immigration, Congress passed the Immigration Reform and Control Act (IRCA). IRCA forbids employers from knowingly hiring individuals who do not have work authorization in the United States. The employment eligibility verification provisions of IRCA are found in Section 274A of the Immigration and Nationality Act (INA). All U.S. employers must have a Form I-9 on file for all current employees. Exception: Employers are not required to have Forms I-9 for employees hired on or before November 6, 1986. You may delegate the authority to complete Form I-9 to a responsible agent, however, you will retain liability for any errors. You must make the Lists of Acceptable Documents available to your EMPLOYEE when he or she is completing the Form I-9. Correct the existing form OR prepare a new Form I-9. If you choose to correct the existing Form I-9, line out the incorrect portions, enter the correct information, and initial and date the correction. If you do a new Form I-9, retain the old form. You should also attach a short memo to both the new and old Forms I-9 stating the reason for your action. •Immediately provide the employee with a Form I-9. •Allow employee 3 business days to provide acceptable documents. •DO NOT backdate the Form I-9. Form I-9 MUST be on file for all current employees. Store Forms I-9 securely in a way that meets your business needs – on site, off-site, storage facility or electronically. Store Forms I-9 and document copies together. Ensure that only authorized personnel have access to stored Forms I-9. Make Forms I-9 available within 3 days of an official request for inspection. To identify the retention date, add 3 years to the hire date and 1 year to the date employment was terminated. The date that is later is the retention date. Example: John Smith was hired on November 1, 1993, and on July 5, 1994, employment was terminated. November 1, 1993 + 3 years = November 1, 1996 July 5, 1994 + 1 year = July 5, 1995 The retention date is November 1, 1996. Crowdfunding for projects and companies is nothing new. In the online arena, however, it is quite young – in 1997 fans of the UK rock group Marillion ran the first recognized internet crowdfunding campaign, raising $60,000 to underwrite the band’s tour of the US. In the years since, other artists have also reached out to their fan bases and successfully invited supporters to finance their recordings and/or tours. Now, the wider business momentum toward crowdfunding is accelerating intensely and is attracting significant attention because the model disrupts the [finance] supply chain and distribution mechanism our Fortune 1000 companies have built and so vehemently protected for a century. Imagine 200,000 Red Cross blood donors being able to pay $100 each towards the development of the newest leukemia medication? That’s $20 million of funding sourced by the crowd. Can you hear the vested interests – "No, that’s not possible. Won’t happen. Humbug!" Really? Get your head out of the sand. As you prepare to celebrate Thanksgiving, check out USA.gov's Thanksgiving page. You'll find cooking and food safety tips, travel resources, volunteer opportunities, and historical information. WASHINGTON – A new online portal has been launched by the U.S. Small Business Administration to accept nominations for its 2013 National Small Business Week Awards, including the annual Small Business Person of the Year award. The dedicated web portal will make it easier to submit and track submissions of nominees for Small Business Week 2013, and is now actively accepting nominations of noteworthy small businesses. Since 1963, National Small Business Week has recognized the outstanding achievements of America’s small businesses for their contributions to their local communities, and to our nation’s economy. In 2013, the 50th year celebration will honor the nation’s 27 million small businesses. In addition to the portal, nominations can also be sent directly to SBA District Offices, which can be located online. All nominations must be submitted or postmarked to the SBA by January 3, 2013. Winners of the Small Business Person of the Year awards and winners in the other award categories will be invited to Washington, D.C., to compete for national titles and to attend National Small Business Week events in 2013. With the holiday season all but here, more small business owners are making Small Business Saturday an integral factor in their holiday sales plans, according to the National Federation of Independent Businesses (NFIB). Some 46% of independent merchants plan to incorporate Small Business Saturday into their holiday strategy, and most of them (67%) say they will offer discounts on November 24, according to the inaugural Small Business Saturday Insights Survey from the NFIB and American Express. Of those small business owners planning to promote Small Business Saturday, 80% expect a year-over-year boost in sales on that day. Chobani, just five years on your grocery shelves, is now the best-selling yogurt brand in America. It's at the forefront of an even bigger culture shift: Greek yogurt, once a small fraction of the market, will top $1 billion in U.S. sales this year. "It's very high in protein, it has less sugar, and companies have made it absolutely delicious," said Cornell dairy specialist Tristan Zuber. "So that appeals to American consumers right now. They want something that's healthier." And it's very healthy for the New York state economy, said Zuber. Upstate New York is now home to all the major Greek brands. For local dairy farmers, you might just call it a cash cow. "New York is definitely becoming the Silicon Valley of yogurt," said Zuber. "There's currently 553 million pounds of yogurt that's manufactured in New York. That's a 140 percent increase since 2008." And the next generation of New York yogurt-makers is already on its way up. Much as the Web set off the dot-com boom 15 years ago, apps have inspired a new class of entrepreneurs. These innovators have turned cellphones and tablets into tools for discovering, organizing and controlling the world, spawning a multibillion-dollar industry virtually overnight. The iPhone and iPad have about 700,000 apps. In the latest article of the iEconomy series, David Streitfeld discusses the question of how real, and lasting, the rise in app employment might be, particularly with an economy yielding few good job opportunities. Despite the rumors of hordes of hip programmers starting million-dollar businesses from their kitchen tables, only a small number of developers actually make a living by creating apps, according to surveys and experts. And programming is not a skill that just anyone can learn. While people already employed in tech jobs have added app writing to their résumés, the profession offers few options to most unemployed, underemployed and discouraged workers. The New York State Department of Taxation and Finance today announced the additional extension of certain tax filing and payment deadlines for taxpayers directly affected by Hurricane Sandy. They promote their Disaster Assistance Hotline at 1-866-562-5227 on some of their disaster recovery pages. Here’s a page dedicated to victims of Sandy. If you call the toll-free number, you’re given two options. One is specifically for questions relating to Sandy-inflicted damage. These are administered by NYS Dept of Education, Office of the Professions. There’s a box (in pink) at the bottom of the home page, titled “Important Information for Licensees Impacted by Hurricane Sandy”. In the last two paragraphs, two different phone numbers are mentioned to replace licenses or registration certificates. According to New York State law, employees paid on an hourly basis generally do not have to be paid for time not worked, assuming the employer has informed the workers in advance that the office will be closed. Under state law, employers are required to pay a minimum level of ‘call-in pay’ if the employee shows up for work but the employer is closed and has no work for the employee to perform, unless the employer has attempted to notify the employee of the closure in advance. For most industries, the call-in pay rate equals four hours at the New York minimum wage rate. Salaried employees usually must be paid for the entire week, without any deductions, if they worked a portion of the work week but then were unable to work the remainder of the week because of a company’s closure, the premise being that salaried workers may have performed duties, such as calling clients or prospects, from home. One of our business counselors was told by the Department of Labor that businesses can have their staff file for DUA – Disaster Unemployment Assistance. If the employee was UNABLE to work for any reason they would NOT get compensated by unemployment but if they were ready and willing but the business was closed their claim will be considered. Self employed persons can also file for DUA. Is your own name a business liability? Among U.S. adults who have searched someone online, nearly half have searched someone before doing business with them, and 45% have found something that made them decide NOT to do business. What's significant here is that people are increasingly making decisions based not only about business information, but personal information about principals and others involved with a company. And this can lead to big problems, because while there may be only one company called John Doe Electronics Repair, a Google search of "John Doe" turns up 45 million results. WASHINGTON – As the nation marks Veterans Day 2012, the U.S. Small Business Administration continues to build on its successful programs for America’s military veterans, helping tens of thousands of veterans each year with small business financing, comprehensive business training and counseling and access to federal contracts. According to data from the U.S. Census Bureau veterans are successful small business owners. Nearly one in 10 small businesses nationwide are veteran-owned. Collectively, these 2.4 million small businesses employ almost 6 million Americans and generate more than $1 trillion in receipts. In the private sector workforce, veterans are 45 percent more likely than those with no active-duty military experience to be self-employed. SBA supports veteran business owners through entrepreneurial training and mentoring, access to capital, and business development opportunities through government contracts. This year SBA partnered with the Department of Veterans Affairs and the Department of Defense to develop a national entrepreneurship training program for transitioning service members as part of the new Transition Assistance Program. Operation Boots to Business: From Service to Startup was piloted with all four branches of the services in summer and fall 2012. The Boots to Business program will be rolled out during 2013 providing exposure to entrepreneurship training to all 250,000 service members who transition from active duty to civilian life each year. In a closely related effort, SBA and Syracuse University continue to expand the success of the Entrepreneurship Boot Camp for Veterans with Disabilities program. The growing partnership between SBA and Syracuse University, now in its fourth year, provides training on how disabled vets can start and grow a small business, with programs targeted to service-disabled veterans who served in Iraq and Afghanistan and their family caregivers, women veterans, and National Guard and Reserve members and their families. Since 2009, the first year SBA partnered with Syracuse University, 434 service-disabled veterans have participated in the program. Participating schools include: Syracuse University, University of Connecticut, UCLA, Florida State University, Texas A&M University, Purdue University, Louisiana State University, and Cornell University. SBA is also providing $2.6 million through a cooperative agreement over three years for two programs; Women Veterans Igniting the Spirit of Entrepreneurship (V-WISE), that focuses on training, networking and mentorship for women veterans, and Operation Endure & Grow, targets National Guard and Reserve component members, their families and partners. In FY 2012, SBA backed more than 3,200 loans supporting nearly $2.1 billion in financing to more than 2,800 Veteran-Owned Small Businesses (VOSBs) through its flagship 7(a) and 504 loan programs, including $118 million through the Patriot Express Loan program. Patriot Express loans offer many advantages to veterans and to SBA’s network of participating lenders nationwide. They feature one of SBA’s fastest turnaround times for loan approval and an enhanced guaranty and interest rate on loans up to $500,000 to small businesses owned by veterans, reservists and their spouses. Patriot Express loans can be used for most business purposes, including startup, expansion, equipment purchases, working capital, inventory or business-occupied real-estate purchases. The Service-Disabled Veteran-Owned Small Business Concern Procurement Program allows federal agencies to set acquisitions aside for exclusive competition among service-disabled veteran-owned small business concerns. Federal prime contracting dollars awarded to Service-Disabled Veteran-Owned Small Businesses (SDVOSBs) increased for the fifth consecutive year to $11.2 billion, or 2.65 percent, in FY2011, up from $10.793 billion, or 2.50 percent, in FY2010. Over the last year, SBA has created a series of online contracting courses called Government Contracting (GC) Classroom to help prospective and existing small businesses, including VOSBs and SDVOSBs, understand the basics about contracting with federal agencies. In addition, the Office of Veteran’s Business Development provides procurement training to SDVOSBs to help them take advantage of federal contracting opportunities under the Service-Disabled Veteran-Owned Small Business Concern Procurement Program. SBA reaches out to veterans through its 68 SBA district offices, 15 Veterans Business Outreach Centers nationwide, more than 1,000 Small Business Development Centers, 110 Women’s Business Centers and some 12,000 SCORE volunteers, more than 40 percent of whom are veterans. SBA also has numerous programs creating government contracting opportunities for VOSBs. For more information, visit www.sba.gov/vets and www.sba.gov/reservists. The Office of Advocacy has released two items of lending research. The Small Business Quarterly Lending Bulletin for second quarter 2012 shows that U.S. economic activity increased in the first half of 2012 at a slower pace than at the end of 2011, and total lending to small firms inched downward. The decline was generated primarily by commercial real estate loans; in general, the climate was supportive of economic growth. A new report, How Did the Financial Crisis Affect Small Business Lending in the United States?, by Rebel Cole, uses data from numerous sources for the period 1994-2011 to analyze lending to U.S. firms. It finds that bank lending to businesses declined significantly after the crisis, and small firms were affected more than large ones. The study was written under contract to Advocacy. The author of the study, Rebel Cole, is a professor of finance in the Kellstadt College of Commerce at DePaul University in Chicago, Illinois. Please note that the report examines total small business lending and does not distinguish SBA lending from total lending. Should you need further information, please feel free to contact Advocacy Economist Victoria Williams at (202) 205-6533 or advocacy@sba.gov. You can register for FEMA assistance by calling 800-621-3362 (TTY: 800-462-7585) or visiting www.DisasterAssistance.gov (or m.fema.gov from a smartphone or Web-enabled device). There is never a fee to apply for FEMA disaster assistance or to receive it. There is no fee for FEMA or U.S. Small Business Administration property damage inspections. Please be aware: Government workers will never ask for a fee or payment. They wear a photo ID. Watch out for middlemen who promise you will receive money, especially if they ask for an up-front payment. To download and print an application, log onto http://home2.nyc.gov/html/doh/downloads/pdf/vr/birth1.pdf; to apply online, log onto http://www.nyc.gov/vitalrecords www.nyc.gov/vitalrecords. If you were born in New York state outside of New York City, log onto www.vitalchek.com or phone 1-877-854-4481. This will connect you to a company called VitalChek, which is contracted with the state to handle credit-card orders. There are modest fees involved. Drivers’ licenses: Visit any New York Department of Motor Vehicles office. To find an office nearby, log onto www.nydmv.state.ny.us/offices.htm. Social Security cards: Call the U.S. Social Security office at 800-772-1213, Monday through Friday, 7 a.m. to 7 p.m. local time. For TTY users the number is 800-325-0778, or log onto www.ssa.gov/ssnumber for more information. Federal tax records: Call 800-829-1040, Monday through Friday, 7 a.m. to 10 p.m. local time, or log onto www.irs.gov. This time of year many businesses turn to planning as a way to determine the path for the upcoming year. It’s a great practice and one that I support without hesitation. Taking stock of where you are now and how you intend to move towards the vision for your business as you see it down the road is something that you must do to create positive change and growth. While the task of annual planning is a necessary one, it’s also one that is fraught with challenges. The best strategic planning focuses on carving our priorities for the year. The challenge with this is that many organizations see it as a time to create a giant wish list or to do list. Should business owners want to create jobs? ...veteran entrepreneur and contributing [Inc. Magazine] editor ...Norm Brodsky's position is that, while he and all good business owners are happy when they can give people jobs, creating new jobs isn't -- and shouldn't be -- a goal. I'm a long-time fan of Brodsky and his down-to-earth advice, and an admirer of his tremendous business accomplishments. But I don't fully agree with his argument, or at least the way he frames it. In his piece, Brodsky focuses on job-creation as it relates to overhead and productivity. He says "no one operates a company with the goal of maximizing labor costs," and of course in that regard he is right. We business owners naturally want -- and are generally obliged -- to generate the highest possible return on every dollar we spend. That means getting the most we can out of our real estate, machinery and people. Certainly no one has "increase rent" as a business goal, and Brodsky is saying the same thing in his labor cost argument. He is looking at the expense angle (the very conservative approach with which I almost always agree), rather than the investment view of hiring. I look at it a different way, and I don't think it's semantics or nuance. Federal response teams are already providing assistance to affected communities. SBA is closely coordinating with federal partners, including FEMA, to share information in the immediate aftermath of the storm. SBA plays an important role in disaster recovery efforts for businesses and homeowners by providing low-interest loans to rebuild and recover. If you have been affected by Sandy, please visit www.sba.gov/sandy to learn more and apply. For the latest on the government-wide response to Sandy, please visit www.usa.gov/sandy. Not affected by Sandy? You can help by sharing this update. Following recent disaster declarations for individual assistance issued by the Federal Emergency Management Agency, the IRS announced that affected taxpayers in Connecticut, New Jersey and New York will receive tax relief. Other locations may be added in coming days based on additional damage assessments by FEMA. Interesting discussion on the BUSLIB listserv this week. Someone was working with students of an instructor who has assigned the "impossible assignment" of finding the "demographics for a given company: how many female employees, how many male, how many disabled, how many minorities/persons of color, and what positions these hold and salaries they make. The instructor insists that this is a doable assignment." Many companies give similar info annually to the US Government, such as to the Office of the Equal Employment Opportunity (EEO), but generally it is released only in aggregate form. Public companies are not subject to Freedom of Information Act (FOIA) requests, even though they are "subject to more reporting requirements than private companies by virtue of the fact that their shares are publicly traded." as records compiled in investigations, consumer complaints, and staff comment letters. We will release non-public records, unless the record is protected by one of nine FOIA exemptions. If we can reasonably segregate or delete exempt information from a requested record, we will release to you the rest of the record. In addition to FOIA exemptions, there are three special protection provisions, referred to as record "exclusions." The FOIA exclusions are reserved for certain specified circumstances." Of course, "FOIA requests can take weeks, months or longer to complete," and the request mmust be deemed "reasonable." 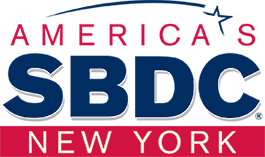 The State University of New York’s Small Business Development Center (SBDC) today began offering disaster relief services to business owners affected by Hurricane Sandy. "SUNY is proud to be able to offer assistance to communities throughout New York State as they recover from the damage left in Hurricane Sandy’s wake, whether it is by providing shelter on our campuses, volunteering in affected communities, or helping businesses get back up and running," said Chancellor Zimpher. "I commend the efforts of the SBDC and our campuses across New York for their efforts to help the state get back on its feet." "The SBDC is committed to helping businesses throughout the impacted areas that were affected by this tragic event," says James King, SBDC State Director. "Our business advisors are trained to deal with this type of emergency, and our objective is to help these businesses get back to being fully operational as soon as possible." In addition, business owners located in declared disaster areas may be eligible for financial assistance from the SBA. For small businesses, the SBA offers Economic Injury Disaster Loans to help meet working capital needs caused by the disaster. Economic Injury Disaster Loan assistance is available regardless of whether the business suffered any physical property damage. Businesses and private non-profit organizations of any size may borrow up to $2 million to repair or replace disaster damaged or destroyed real estate, machinery and equipment, inventory, and other business assets. The SBA may increase a loan up to 20 percent of the total amount of disaster damage to real estate and/or leasehold improvements, as verified by SBA, to make improvements that lessen the risk of property damage by future disasters of the same kind. Interest rates are as low as 1.688 percent for homeowners and renters, 3 percent for non-profit organizations, and 4 percent for businesses with terms up to 30 years. Loan amounts and terms are set by the SBA and are based on each applicant’s financial condition. Applicants may apply online using the electronic loan application via SBA’s secure website at https://disasterloan.sba.gov/ela.